For the past two years, photographer Kris Holman has organized a Halloween photoshoot in eerie Florida locations. 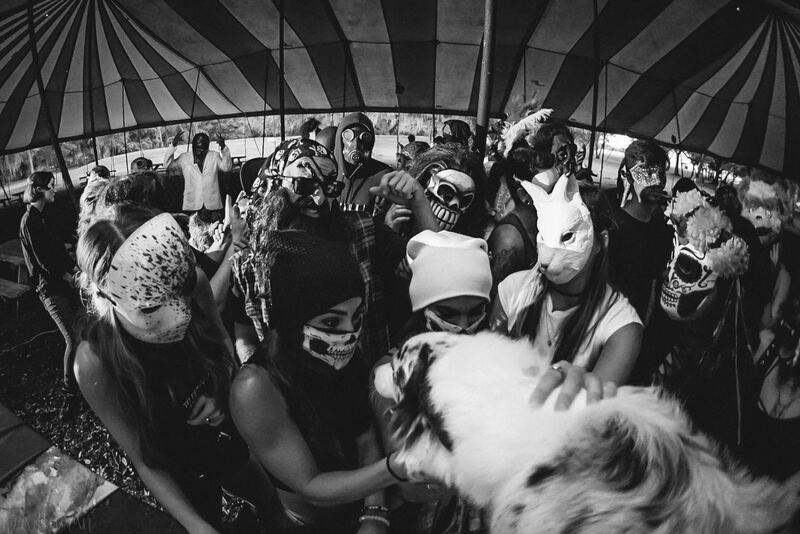 It started as a small group of her friends and was strictly BYOM – Bring Your Own Mask! After starting a Facebook event page the first year, the event grew to 20 people. The second year, she was able to gather 40 friends, artists of all types, models, photographers, a quarter of a roller derby team, and an Australian Shepherd to participate! Embodying a rag tag group of Halloween revelers went so well the first year it became an annual thing. The 2nd annual Halloween photoshoot was held underneath a large circus tent which brought another fun element to the spooky theme, as you’ll see! The gang is ready to party! Getting the Red camera ready. 10 Travel Photos That Will Make You Want to Pack Your Bags!